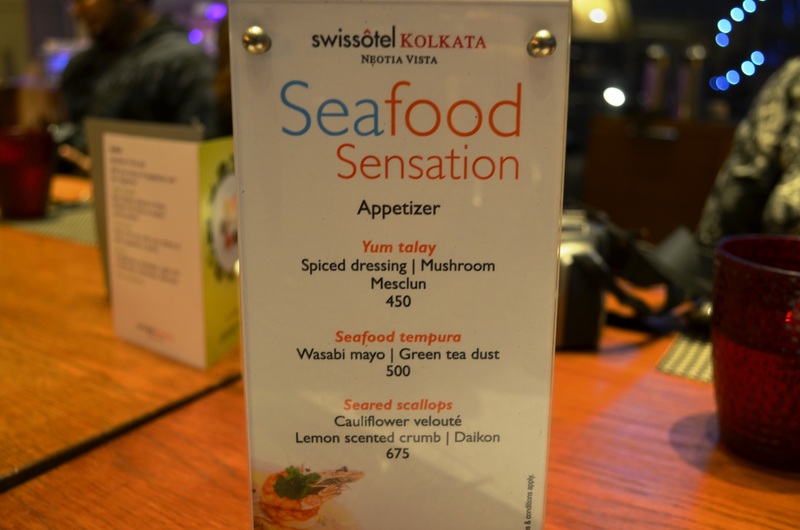 KfB Bloggers table was at the Swissotel Seafood festival to get a taste of the etherial menu they have put together this season. Warmly greeted by the cheerful marketing team and soon joined by iron chefs from the kitchen, we felt nothing short of pampered by their hospitality. Chef Mahesh displayed zen-like patience as we chewed on his young but experienced brains with our innumerable questions on how the menu was designed, where the ingredients were sourced from, clearing our confusions on the authentic thermidor recipe…basically it went on and he bore it with a smile. 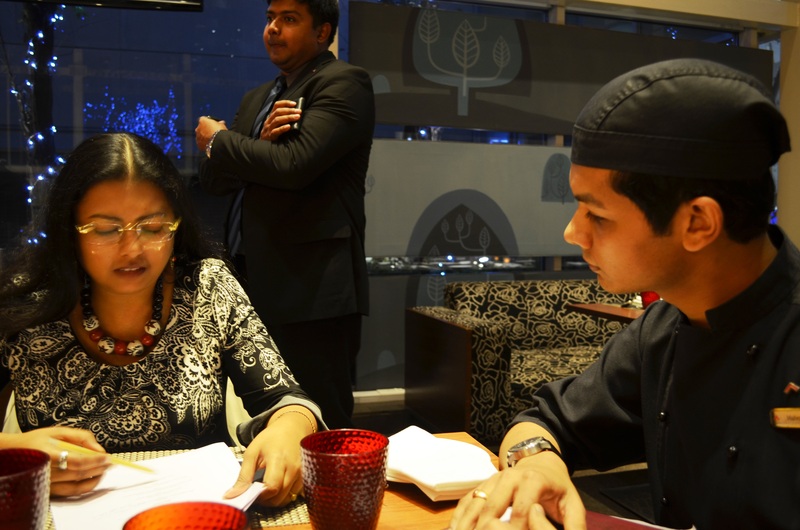 The seafood menu sports an array of dishes with prawns, squids, scallops, crabs and lobsters. 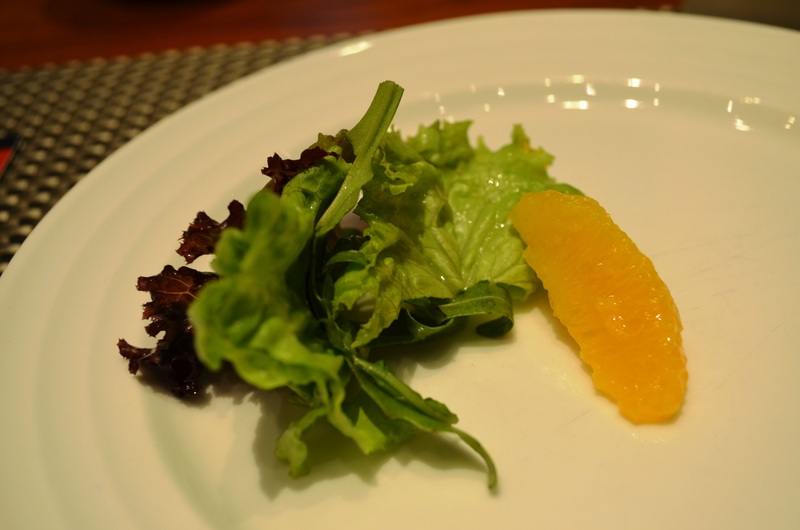 We started off with Yum talay, a Thai seafood salad in a citrusy dressing spiced up with serano chillies. 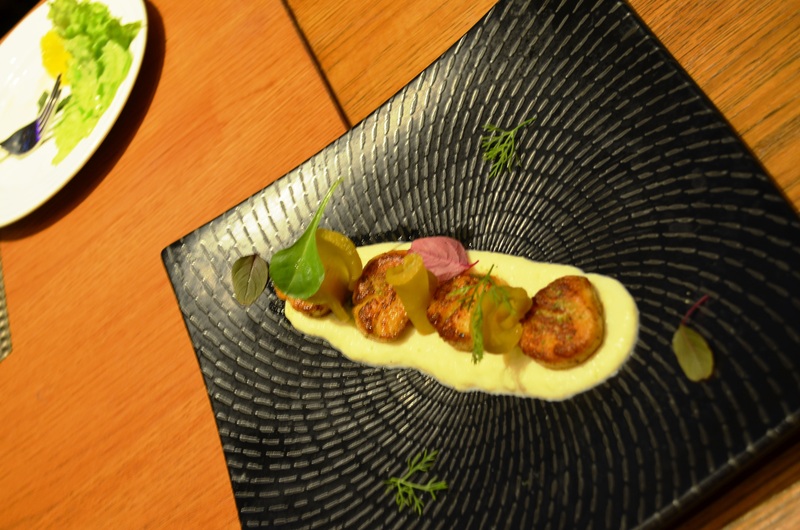 There were innovative accompaniments that fuelled our curiosity, for example the cauliflower veloute served with the seared scallops that ably replaces mashed potato, the flavours being lifted by the daikon. The scallops were one of the best dishes of the evening, pan seared enough to give them a crispy exterior and yet leaving them flaky soft inside. 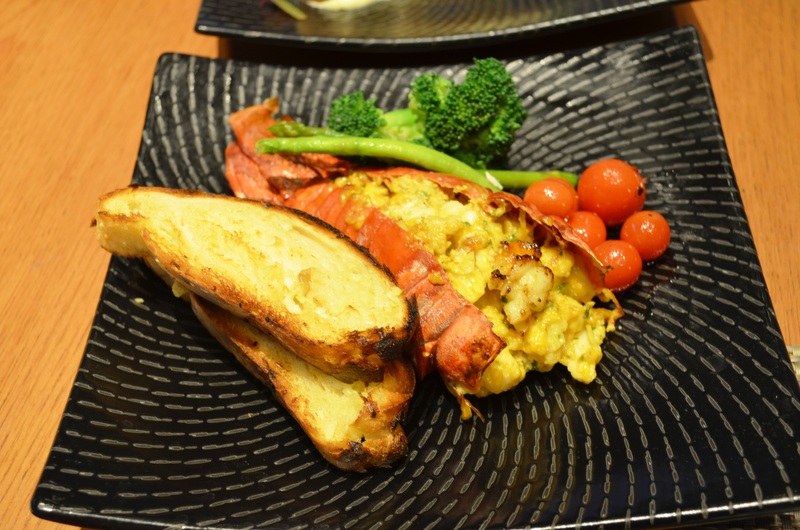 For main course, we were served the lobster thermidor that was served with a bunch of greens, cherry tomatoes and garlic bread. The subtlety of the flavours in the thermidor was highly welcome in a country where most other places were serving Indianised spicy or gravy versions of it. We also tucked into the Norwegian salmon – I usually do not have salmon unless it is smoked salmon, with the fresh and grilled version, it is very easy to get it wrong and the result is often papery and tasteless given many of my previous experiences. 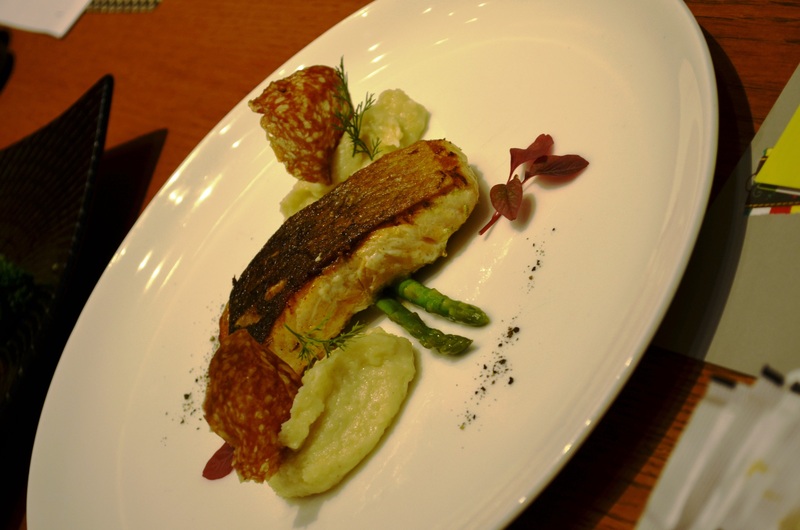 My skepticism was put to rest with the crackling crisp skin of one of the better salmons I have had in a long time. The chorizo crisps were an unusual accompaniment that formed a successful trio with the mashed potato. As it turns out, Swissotel is proud of its desserts, and on meeting the talented yet humble patisserie chef, and I clearly saw why. The dessert counter was very tempting in the fact that it was not laden with the usual run-of-the-mill brownie and pastry list. 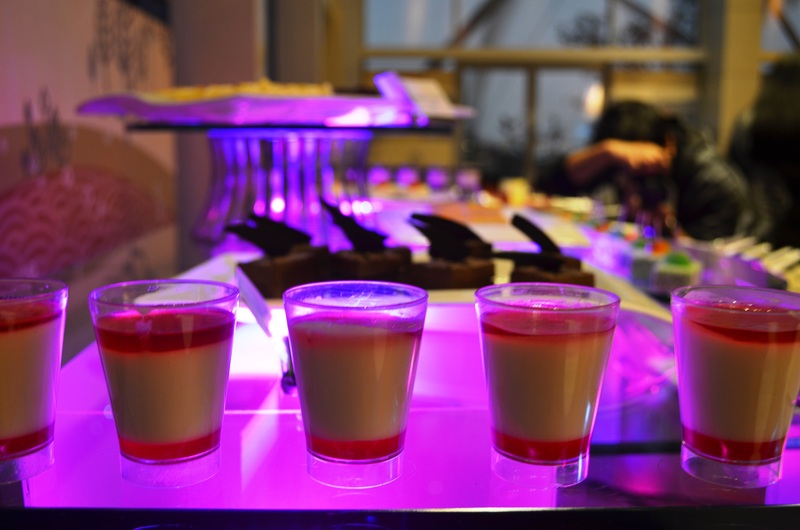 There was the creme brulee and the opera and strudels and lamingtons – we love chefs who love taking challenges. As I dug in, I soon concurred that he executes them to perfection as well. 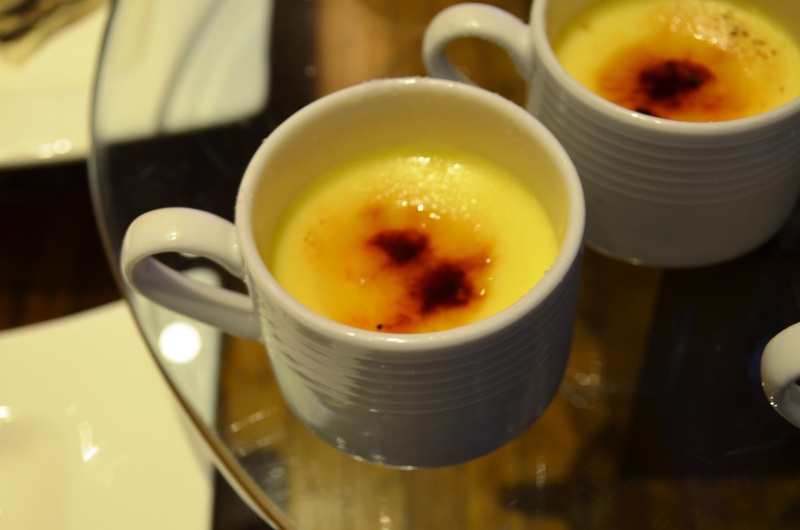 While all desserts met my expectations, the creme brulee was the star of the dessert counter. Loved the fact that not the whole top was sugarred and browned – and I could imagine it would be such a pain to get a spot in the centre of the cup with the blow torch, consistently everytime, so – respect. 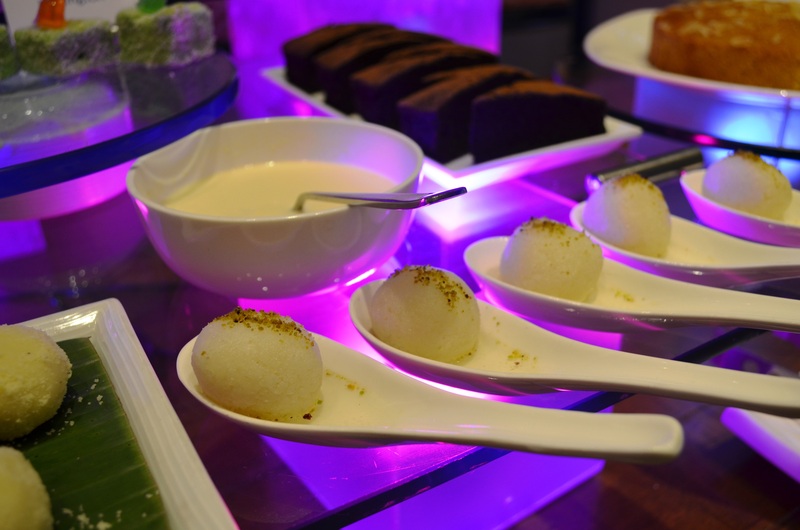 Before we winded up the evening however, we were literally coaxed to try two items – the paan (betel-nut) icecream and the nolen gur (jaggery) icecream. The nolen gur icecream was heavenly, as expected, but my personal surprise was the paan icecream – I don’t like paan at all but this thing kept me going for more. 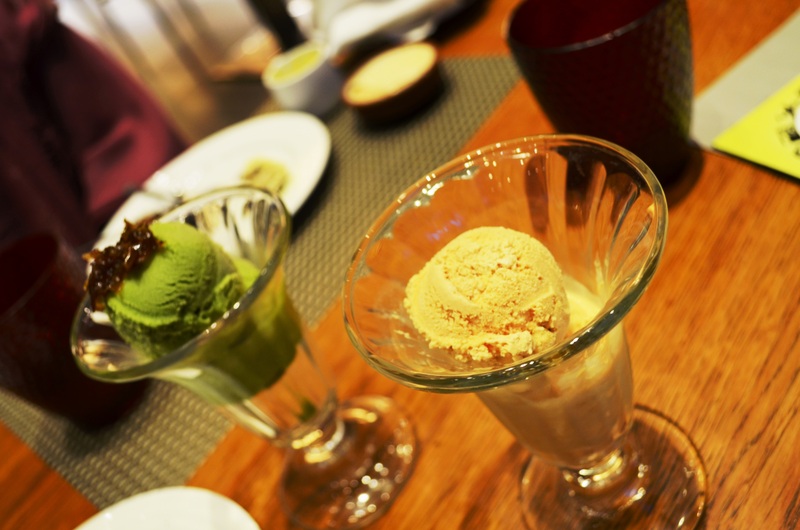 Served with bits of gulkand as garnish, the icecream is made from extracts of the paan leaf, and the slightly pepperiness from a ‘teekha paan’ created an interesting medley for the taste buds. The Seafood festival is on till the 26th January at all the outlets within Swissotel (the Swiss cafe, the Maaya lounge, Durbari the Indian restaurant and Splash, on the poolside). I would highly recommend it to anyone who loves seafood and is looking for a feel good ambience to match. 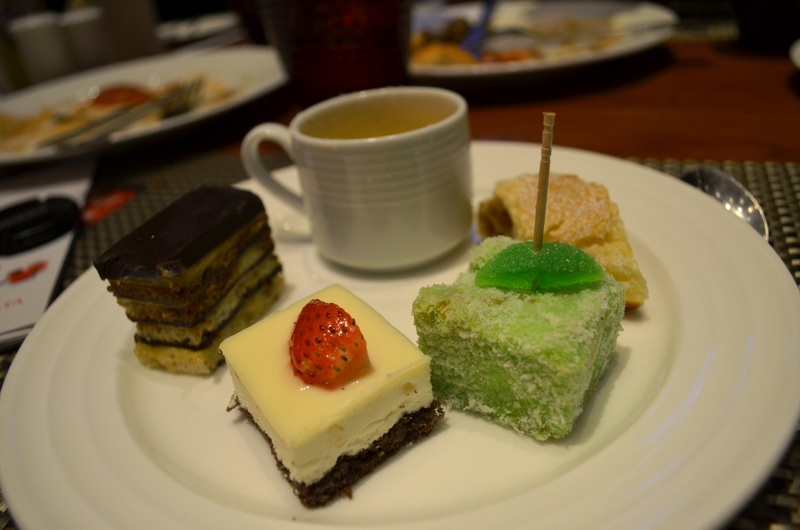 Meanwhile, this was my first time to Swissotel and I have enjoyed my experience well enough to drag the husband back there on a Sunday brunch mayhaps. 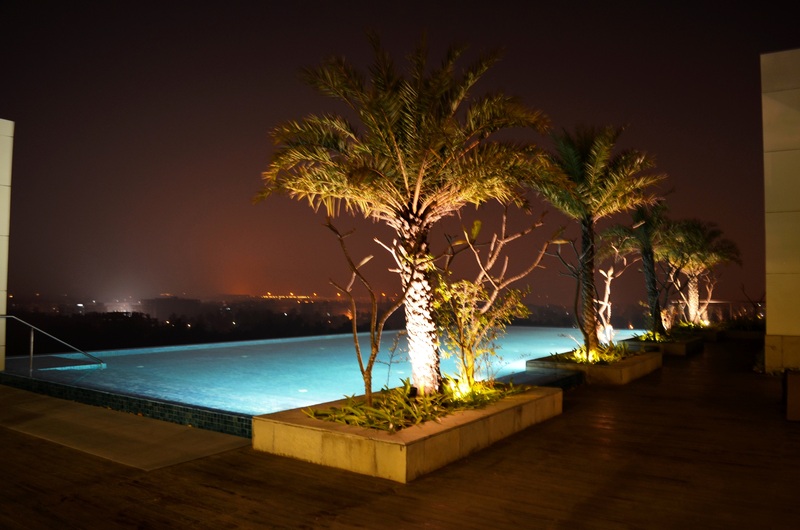 Here, I even got got him this pic of the pool that overlooks the airport, in order to entice him for the Sunday brunch. Afterall, it does include access to the pool. Is anyone listening? ?